Opie Award for Children’s Games book | D.A.R.E. 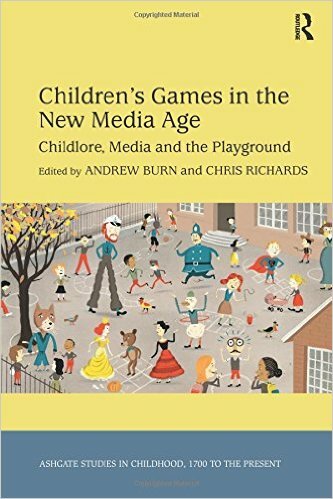 Professor Andrew Burn and Dr Chris Richards have won the American Folklore Society’s Opie Prize for their co-edited book, Children’s Games in the New Media Age: Childlore, Media and the Playground (Ashgate, 2014). The prize reflects the collaborative effort of the authors in the book, including Professor Jackie Marsh, Dr Julia Bishop, Dr John Potter, Grethe Mitchell and Andy Clarke, and Dr Rebekah Willett. 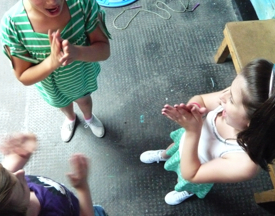 ‘Children’s Games in the New Media Age’ is the result of an Arts and Humanities Research Council (AHRC) project, Playground Games, which explored the relationship between children’s vernacular play cultures and their media-based play. The book challenges two popular misconceptions about children’s play: that it is depleted or even dying out and that it is threatened by contemporary media such as television and computer games. A key element in the research was the digitisation and analysis of Iona and Peter Opie’s sound recordings of children’s playground and street games from the 1970s and 1980s. This framed and enabled the research team’s studies of the Opies’ documents of mid-twentieth-century play culture and, through a two-year ethnographic study of play and games in two primary school playgrounds, contemporary children’s play cultures. The book builds upon the Opies’ work, re-examining the recordings and introducing new ethnographies of playground games and research into online behaviour. It demonstrates how children’s play adapts to changing technology and other aspects of contemporary culture. The book has been very favourably reviewed. This example is Elizabeth Tucker’s review from the International Journal of Play. Another is Richard Shakeshaft’s review from the International Research Society for Childre’s Literature. The research in the book is also represented in a website by the British Library, which has recently been redesigned as part of the Learning section of the Library’s website. The site, Playtimes, was co-developed by the project with two partner primary schools and the former Children’s Laureate, Michael Rosen. The British Library will also host a new archive consisting of the video recordings made by the project, to be launched in 2017. See also the IOE website report on the award.